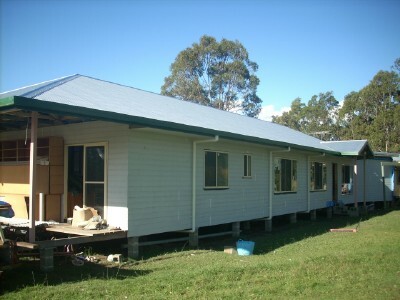 Our latest building focus has been installing guttering onto the front of the house. 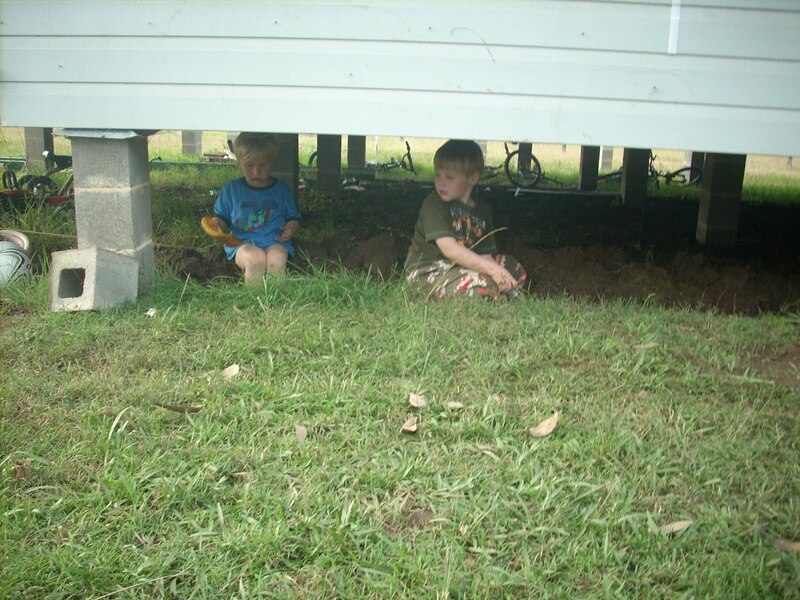 The boys have been digging trenches under the house each afternoon for the pipe. 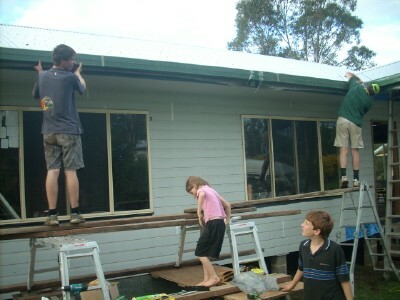 Even receiving help from the younger boys. With the addition of the downpipes we can nearly hear the rain gurgling into the tank. 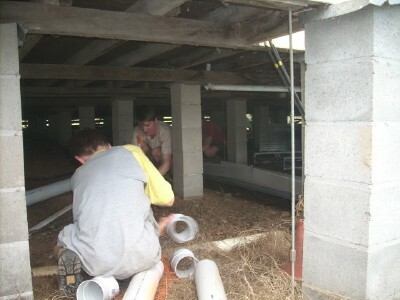 For the older boys conditions are rather cramped under there, it is a long way to run the pipe. Just in time! Lovely to rain IN the tank and not all over the ground in a muddy mess! Well done! We once lived in a house where we relied solely on tank water. The sound of rain gurgling down the pipes was the best sound in the world! Unfortunately, it rarely rained and we ended up buying water quite a few times, before heading back to town and a house connected to town water. Enjoy your water! This has been fun following your journey of the extension of your home. thanks for sharing. 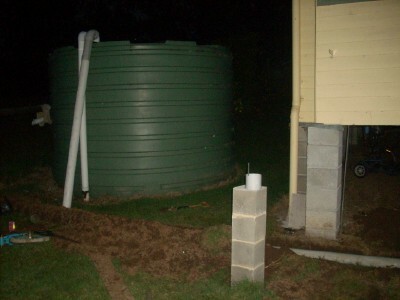 I love the sound of the rainwater filling our tanks- we are on town water, but it saves our bills. Looking good! Did you get a huge rainstorm last night? Our tank is being delivered tomorrow (I hope) and should be installed in a week or two. If it had been in last night it would probably be half full by now. Yes there was lots of rain last night, so glad you got your tank connected up in time! No floods here, rain was no where near that amount. thanks Leanne, never sure if readers think, "Oh no, not again!" Had a reader tell me they skipped my book posts, so I figure some may skip the building ones. We survive soley on rain water – it is a challenge at times. I remember one year, receiving just enough water to survive for 2 more weeks – over and over again – but, we got through. Every time it rained, we were so thankful! Good to see the progression with your building – keep up the good work!